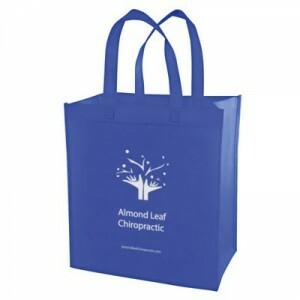 As more and more people hop on board with recycled shopping bags, picture your name or logo on those bags. People going grocery shopping, heading to the beach or airport, anywhere people tote their items could have your information imprinted on them. Available in a variety of colors, they can be part of your marketing or sponsorship plans like they did on WaterSoftenerMaestro. Green bags are the most popular colors, both kelly and forest green, navy, royal blue, khaki, black, maroon and orange. others. 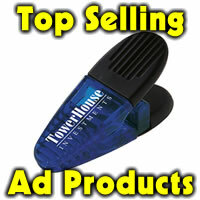 With a big imprint area, these are sure to be used daily for a variety of everyday tasks. #GB1213. 1.09 ea at 100 min. .99 at 500 or more. 50.00 set up with one color imprint.